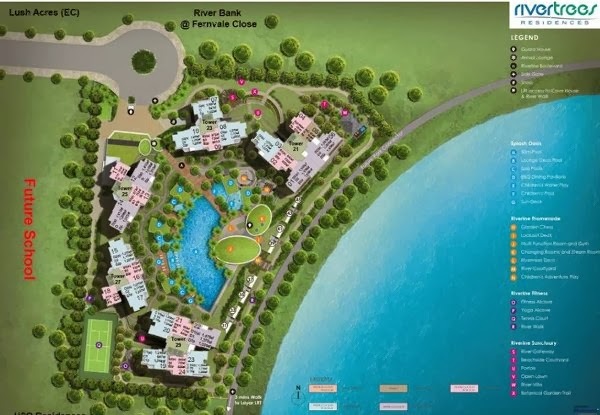 RiverTrees Residences @ Fernvale present a glamourous riverfront living development with 2 blocks of 22 storeys apartments, 3 Block of 20 storeys apartment, 8 units of strata landed houses at Fernvale, District 28. 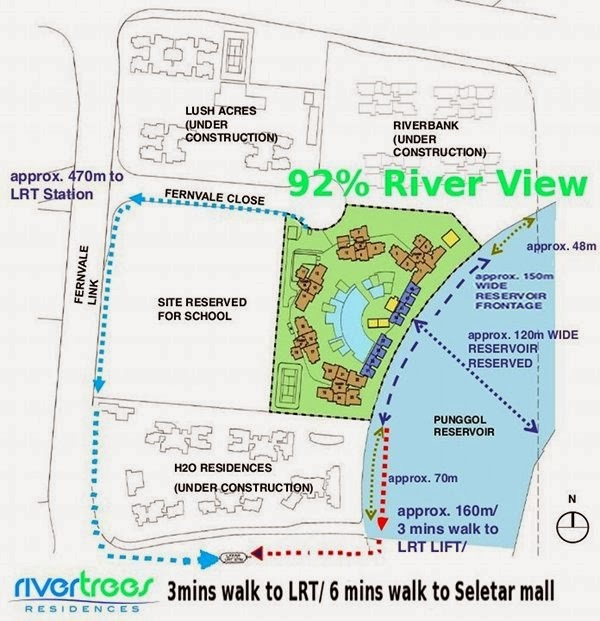 RiverTrees Residences @ Fernvale is located at Fernvale Close with excellent river facing view, District 28 doorsteps to Layar LRT Station. 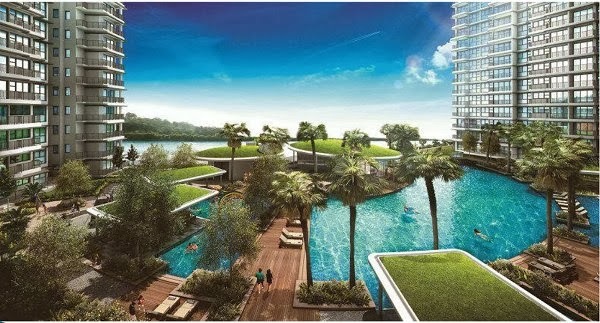 Easy access to Seletar Expressway (SLE), Kallang Paya Lebar Expressway(KPE) and Central Expressway (CTE). 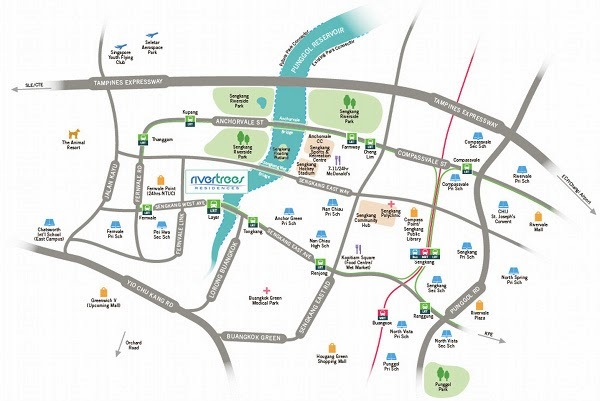 Nearby to shopping options such as Fernvale Point, Greenwich V, Compass Point, Hougang Green Shopping Mall, Sengkang Town Centre and the upcoming Seletar Mall. Close to Fernvale Point, Greenwich V, Compass Point, Hougang Green Shopping Mall, Sengkang Town Centre and The upcoming Seletar Mall.